Interview with Ben Best, director of research oversight, Life Extension Foundation (LEF). In part three, he discusses the following subject-matter: possible venture capitalist philanthropy towards the LEF’s endeavours and initiatives; the technological singularity and life extension; independent computer science research and current work; miscellaneous writing and book pitch; conference reports and the most surprising finding from them; different definitions of nutraceuticals and pharmaceuticals in addition to the government industry favouring pharmaceuticals over nutraceuticals; and motivation for his life’s work. Keywords: aging, Ben Best, computer science, conference reports, Life Extension Foundation, nutraceuticals, pharmaceuticals, philanthropy, venture capitalist. American Psychological Association (APA, 6th Edition, 2010): Best, B. & Jacobsen, S.D. (2015, May 15). Ben Best: Director of Research Oversight, Life Extension Foundation (Part Three). In-Sight: Independent Interview-Based Journal, 8.A. Retrieved from https://in-sightjournal.com/2015/05/15/best-best-director-of-research-oversight-life-extension-foundation-part-three/. Chicago/Turabian (16th Edition): Best, Ben & Jacobsen, Scott “Ben Best: Director of Research Oversight, Life Extension Foundation (Part Three).” In-Sight: Independent Interview-Based Journal. 8.A (2015). https://in-sightjournal.com/2015/05/15/best-best-director-of-research-oversight-life-extension-foundation-part-three/. Harvard: Best, B. & Jacobsen, S 2015, ‘Ben Best: Director of Research Oversight, Life Extension Foundation (Part Three)’, In-Sight: Independent Interview-Based Journal, vol. 8.A. Available from: <https://in-sightjournal.com/2015/05/15/best-best-director-of-research-oversight-life-extension-foundation-part-three/>. Modern Language Association (MLA, 7th Edition, 2009): Best, Ben, and Scott D. Jacobsen. “Ben Best: Director of Research Oversight, Life Extension Foundation (Part Three).” In-Sight: Independent Interview-Based Journal 8.A (2015): May. 2015. Web. <https://in-sightjournal.com/2015/05/15/best-best-director-of-research-oversight-life-extension-foundation-part-three/>. 18. Some prominent venture capitalists consider the efforts for life extension of utmost importance. Furthermore, an endeavour thought in high regard because of the financial evidence in the record of one-way distribution of funds, i.e. from venture capitalist to individual, research group, company, or organization. Some venture capitalists provide tremendous amounts of money from personal wealth to research and further the aims of organizations for the increased quality life expectancy of human beings. For instance, Peter Thiel funds numerous initiatives with inclusion of the aforementioned Dr. Aubrey de Grey. He provided financial backing to Dr. de Grey in the early stages of development of The Methusaleh Foundation. An amount of $3.5 million towards antiaging research. Of course, he’s worth over $2 billion dollars. Does the LEF receive substantial funds from venture capitalists or others with a philanthropic proclivity? What does the LEF need to pursue more of its bold research projects? All of LEF money spent on research comes from supplement sales. More revenue from sales would allow for more research. Less harassment by government agencies (currently the IRS) would be of great benefit. 19. Insofar as individuals and groups predict the future of medicine and technology, some in the community of transhumanism predict the singularity. A metaphor from astrophysics about the center of a black hole, or a singularity, a point of zero volume and infinite density. Light cannot escape it and, hence, one cannot see past it. No light; no sight. Similarly, some posit the technological singularity. Technology’s continued increase in pace of progression at some future point creates an unpredictable future past that moment. A time in the future in which technology will advance beyond predictive capabilities. Same metaphor. It depends on emphasis. How probable does the technological singularity future seem to you? How might this improve the future of life extension research? I am more concerned with the near future than the far future. By definition it is impossible to think about anything post-singularity. I am not convinced of technological singularity, but I am expecting continued accelerating progress. Possibly there will be a law of diminishing returns rather than a singularity. But if that happens, I hope it happens after aging and disease have been eliminated. 20. You include a number of articles on computer science. About half connected to the idea of Y2K. About another half on topics with more modern import: An Overview of Neural Networks, Artificial Intelligence and the Preservation of Mind, and Object-Oriented Programming and APL Language. Each covers a significant amount of territory on subject matter in computer science. Associated with the expertise from the degree earned from SFU in computer science. How does this stream of independent research assist you – as director of research oversight? Everything I have ever done or studied was not done for the sake of a job (my current job), which I did not anticipate having until a few years ago. I suppose anyone can say that anything they have every learned has somehow been helpful to them in their current endeavors. 21. You have one portion of the website devoted to miscellaneous writings. Those outside the extensive core of written work. Far fewer exist there: The Uses of Financial Statements, Bees Man, and Ancient DNA & Preservation in Amber. Have you thought of a compilation of organized and miscellaneous writings for inclusion into a pitch for mainstream book publishers? My only past effort in submitting a book for publication was SCHEMERS IN THE WEB, which was rejected by every publisher I sent it to. So I self-published by putting on my website: http://www.benbest.com/history/schemers.html. All my writings have either been self-publishing on my website or magazine articles. I have never again considered a book, although some of my articles have been included as chapters in books edited by others. 22. With respect to some of the work necessary for the LEF, attendance at and reportage from conferences seems necessary, especially to remain apprised on the pre-publication information of academic papers. In fact, you wrote a number of conference reports for the LEF. In them, you covered the, at the time, most recent research into life extension at these conferences. In the midst of research into these topics, what finding most surprised you? The prospect of genetic engineering and gene therapy with the advent of CRISPR/Cas9 is probably the biggest breakthrough in recent years. Pharmaceuticals are substances which have (or have had) patent protection as a result of expensive testing to conform to the specifications of a government agency. Many nutrients will never receive government approval because no one could justify the expense of government testing requirements for substances & uses which cannot be protected by patent. Both pharmaceuticals & nutrients can both cure & prevent disease — but only pharmaceuticals have government sanction. Many pharmaceuticals have their origin in plants & animals — and are no less “natural” than nutrients. I found this poignant and concise. What other implications of this expensive government testing requirements of substances in addition to the government sanction for pharmaceuticals (but not nutraceuticals) need statement to you? As I wrote in my review of the World Stem Cell Summit in the June 2013 issue of LIFE EXTENSION magazine, I favor the repeal of the 1962 Kefauver-Harris Amendment that added a proof-of-efficacy requirement to the proof-of-safety requirements for FDA drug approval. Requiring efficacy in addition to safety in the wake of the 1962 thalidomide scare was pure politics; thalidomide was entirely a safety issue. The effect of the Kefauver-Harris Amendment was to reduce the availability of new drugs to the public. The average number of new drugs introduced dropped from 40 per year before 1962 to 16 per year soon after 1962. Average time from filing to approval for new drugs rose from 7 months before 1962 to 7.8 years by 1998. A 2006 study estimated the cost to bring a new drug to market at between $500 million to $2 billion. After FDA approval, safety rather than efficacy is mainly what matters because physicians are free to prescribe the drug “off label” for any indication they please. And FDA-approved drugs are not very safe, anyway. The American Medical Association has reported that adverse reactions to FDA-approved drugs in American hospitals is a leading cause of death. 24. With respect to the core ideas of life extension, you wrote numerous other articles on the topic. Some written work covers the personal thoughts on extension of life. Some mentioned earlier in addition to the novel (relative to this interview) articles: Why Life Extension? Or Why Live At All?, Causes of Death, Alzheimer’s Disease: Molecular Mechanisms, Is Longevity Entirely Heritable, Can Deprenyl (Selegiline) Extend Human Lifespan?, “Smart Drugs” & the Aging Brain: A Superficial Review, Whey Protein and Life Extension, and Life Extension Benefits of Methionine Restriction, and numerous other articles and resources on life extension. Existentialists often say “life is meaningless” with the implication that they are describing an objective meaning outside themselves, and independent of any human being. But it is humans who care about things and have feelings. Humans are the source of value and the process of valuation. A mother filled with love for her newborn baby does not wonder whether life is meaningful. An Existentialist who says life is meaningless is describing his or her own emotional state (a statement of values), not a fact about the universe. It is humans who find (or can’t find) meaning in life because of what they value (or don’t value). What motivates this life’s work? The prospect of a vastly long, healthy and youthful life motivates me. See Forbes Magazine (2015, April 18). #12 Peter Thiel. See SENS (n.d.). Executive Team. See de Grey, A. & Jacobsen, S.D. (2014, June). See Methuselah Foundation (2008). Methuselah Foundation. See Methuselah Foundation (2008). Paypal Founder pledges $3.5 Million to antiaging research. See Vinge, V. (1993). What is the Singularity?. See Best, B. (n.d.). Topic Index for Articles about Computer Science by Ben Best. See Best, B. (n.d.). An Overview of Neural Networks. See Best, B. (n.d.). Artificial Intelligence and the Preservation of Mind. See Best, B. (n.d.). Object-Oriented Programming and APL Language. See Best, B. (n.d.). Topic Index for Miscellaneous Writings by Ben Best. See Best, B. (n.d.). The Uses of Financial Statements. See Best, B. (n.d.). St. Bees Man. See Best, B. (n.d.). Ancient DNA & Preservation in Amber. See Best, B. (n.d.). Conference Report: Ellison Medical Foundation Colloquium on Aging. See Best, B. (n.d.). Report: The 2014 Cardiovascular Disease Prevention Symposium. See Best, B (n.d.). Nutraceuticals Topic Index. See Best, B. (n.d.). Why Life Extension? Or Why Live At All?. See Best, B. (n.d.). Causes of Death. See Best, B. (n.d.). Alzheimer’s Disease: Molecular Mechanisms. See Best, B. (n.d.). Is Longevity Entirely Heritable?. See Best, B. (n.d.). Can Deprenyl (Selegiline) Extend Human Lifespan?. See Best, B. (n.d.). “Smart Drugs” & the Aging Brain: A Superficial Review. See Best, B. (n.d.). Whey Protein and Life Extension. See Best, B. (n.d.). Life Extension Benefits of Methionine Restriction. More resources exist in the website. Those articles listed for some further reading. One section of the personal website hyperlinks to a number of references and resources sectioned by “General References,” “BioMedical References,” “General Science/Technology References,” “Computing and Internet References,” “Literature References,” “Geographical Orientation,” “Time Orientation,” “Telephone Orientation,” “Space,” and “Generalized and Specialized News or Information.” I found these resources akin to the ubiquitous contents of the website. In general, you express thoughtful and coherent arguments for topics of interest in addition to the provision of useful information bolstered by references and resources. See next footnote for reference. See Best, B. (n.d.). Links: References and Resources. Best, B. (n.d.). A Case for Free Will AND Retrieved from http://www.benbest.com/philo/freewill.html. Best, B. (n.d.). A Simplified History of China. Retrieved from http://www.benbest.com/history/China.html. Best, B. (n.d.). Acetyl-L-Carnitine (ALCAR). Retrieved from http://www.benbest.com/nutrceut/ALCAR.html. Best, B. (n.d.). Alzheimer’s Disease: Molecular Mechanisms. Retrieved from http://www.benbest.com/lifeext/Alzheimer.html. Best, B. (n.d.). An Austrian Theory of Business Cycles. Retrieved from http://www.benbest.com/polecon/buscycle.html. Best, B. (n.d.). An Overview of Neural Networks. Retrieved from http://www.benbest.com/computer/nn.html. Best, B. (n.d.). Ancient DNA & Preservation in Amber. Retrieved fromhttp://www.benbest.com/misc/DNAamber.html. Best, B. (n.d.). Articles about Caloric Restriction with Adequate Nutrition (CRAN). Retrieved from http://www.benbest.com/calories/calories.html. Best, B. (n.d.). Artificial Intelligence and the Preservation of Mind. Retrieved from http://www.benbest.com/computer/ai.html. Best, B. (n.d.). Bavarian Illuminati. Retrieved from http://www.benbest.com/history/bavarian.html. Best, B. (n.d.). Ben Best in a Nutshell. Retrieved from http://www.benbest.com/personal/nutshell.html. Best, B. (n.d.). Business/Investment Data and Information. Retrieved from http://www.benbest.com/business/business.html/. Best, B. (n.d.). Caloric Restriction with Adequate Nutrition – An Overview. Retrieved from http://www.benbest.com/calories/cran95.html. Best, B. (n.d.). Can Deprenyl (Selegiline) Extend Human Lifespan?. Retrieved from http://www.benbest.com/lifeext/deprenyl.html. Best, B. (n.d.). Causes of Death. Retrieved from http://www.benbest.com/lifeext/causes.html. Best, B. (n.d.). CoEnzyme Q10(Ubiquinone, Ubiquinol and Semiquinone). Retrieved from http://www.benbest.com/nutrceut/CoEnzymeQ.html. Best, B. (n.d.). Conference Report: Ellison Medical Foundation Colloquium on Aging. Retrieved from http://www.lef.org/magazine/2013/1/Conference-Report-Ellison-Medical-Foundation-Colloquium-on-Aging/Page-01. Best, B. (n.d.). Cryonics – Frequently Asked Questions (FAQ). Retrieved from http://www.benbest.com/cryonics/CryoFAQ.html. Best, B. (n.d.). DHA for Hearts and Minds. Retrieved from http://www.benbest.com/health/dha.html. Best, B. (n.d.) DHEA Hormone Replacement. Retrieved from http://www.benbest.com/nutrceut/DHEA.html. Best, B. (n.d.). Diogenes of Sinope. Retrieved from http://www.benbest.com/philo/diogenes.html. Best, B. (n.d.). Egyptology, Rosicrucianism, and the Quest for Immortality. Retrieved from http://www.benbest.com/history/egypt.html. Best, B. (n.d.). Fats You Need — Essential Fatty Acids. Retrieved from http://www.benbest.com/health/essfat.html. Best, B. (n.d.). Financial Statements in the “New Economy”. Retrieved from http://www.benbest.com/business/newecon.html. Best, B. (n.d.). Fixed-Income Securities: Money-Markets & Bonds. Retrieved from http://www.benbest.com/business/debt.html. Best, B. (n.d.). Funding Cryonics with an Estate. Retrieved from http://www.benbest.com/cryonics/estate.html. Best, B. (n.d.). Investing & Trading in Equities: Art & Science. Retrieved from http://www.benbest.com/business/investing.html. Best, B. (n.d.). Is Longevity Entirely Heritable?. Retrieved from http://www.benbest.com/lifeext/longgene.html. Best, B. (n.d.). Mechanisms of Aging. Retrieved from http://www.benbest.com/lifeext/aging.html#radical. Best, B. (n.d.). My Health Regimen – Exercise, Diet, Supplements. Retrieved from http://www.benbest.com/personal/regimen.html. Best, B. (n.d.). L-Carnosine and Related Histamine-Derived Molecules. Retrieved from http://www.benbest.com/nutrceut/carnosine.html. Best, B. (n.d.). Life Extension Benefits of Methionine Restriction. Retrieved from http://www.benbest.com/calories/Meth.html. Best, B. (n.d.). Links: References and Resources. Retrieved fromhttp://www.benbest.com/resource/resource.html. Best, B (2014). LinkedIn: Ben Best. Retrieved from https://www.linkedin.com/pub/ben-best/3a/45/65a. Best, B. (n.d.). Links to some of my favorite sources of IMAGES/PICTURES/ ANIMATIONS. Retrieved from http://www.benbest.com/images/images.html. Best, B. (n.d.). Monetary Systems and Managed Economies. Retrieved from http://www.benbest.com/polecon/monetary.html. Best, B. (n.d.). N-AcetylCysteine (NAC). Retrieved from http://www.benbest.com/nutrceut/NAC.html. Best, B. (n.d.). North American Credit Scoring & Reporting. Retrieved from http://www.benbest.com/business/credit.html. Best, B. (n.d.). Nutraceuticals Topic Index. Retrieved from http://www.benbest.com/nutrceut/nutrceut.html. Best, B. (n.d.). Object-Oriented Programming and APL Language. Retrieved fromhttp://www.benbest.com/computer/oopapl.html. Best, B. (n.d.). Offshore Options for Cryonicists. Retrieved from http://www.benbest.com/cryonics/offshore.html. Best, B. & de Grey, A. (2006, February). Profile: Aubrey de Grey, PhD An Exclusive Interview with the Renowned Biogerontologist. Retrieved from http://www.lef.org//Magazine/2006/2/profile/Page-01. Best, B. (2013, January). Report: 2013 Keystone Diabetes Conference. Retrieved from http://www.lef.org//Magazine/2013/10/2013-Keystone-Diabetes-Symposium/Page-01. Best, B. (2013, January). Report: Conference Report Ellison Medical Foundation Colloquium on Aging. Retrieved from http://www.lef.org/Magazine/2013/1/Conference-Report-Ellison-Medical-Foundation-Colloquium-on-Aging/Page-01. Best, B. (n.d.). Report: The 2014 Cardiovascular Disease Prevention Symposium. Retrieved from http://www.lef.org/magazine/2014/7/The-2014-Cardiovascular-Disease-Prevention-Symposium/Page-01. Best, B. (1990). Schemers in the Web: A Covert History of the 1960’s Era. Retrieved from http://www.benbest.com/history/schemers.html. Best, B. (n.d.). “Smart Drugs” & the Aging Brain: A Superficial Review. Retrieved from http://www.benbest.com/lifeext/smart.html. Best, B. (n.d.). Some Thoughts About Wisdom. Retrieved from http://www.benbest.com/philo/wisdom.html. Best, B. (n.d.). St. Bees Man. Retrieved from http://www.benbest.com/misc/stbees.html. Best, B. (n.d.). The Duplicates Paradox (The Duplicates Problem). Retrieved from http://www.benbest.com/philo/doubles.html. Best, B. (n.d.). The FDA versus the Life Extension Foundation. Retrieved from http://www.benbest.com/polecon/fdalef.html. Best, B. (n.d.). The Major American Equity Indices: DOW, Nasdaq, S&P 500, Russell 2000 and Wilshire 5000. Retrieved from http://www.benbest.com/business/indexusa.html. Best, B. (2015, January). The Las Vegas A4M Conference. Retrieved from http://www.lef.org//Magazine/2015/1/The-Las-Vegas-A4M-Conference/Page-01. Best, B. (n.d.). The New West Co-op Houses: An Essay in Recognition of the 20th Anniversary. Retrieved from http://www.benbest.com/history/coop.html. Best, B. (n.d.). The Uses of Financial Statements. Retrieved from http://www.benbest.com/business/finance.html. Best, B. (n.d.). The Wace, Texas Massacre. Retrieved from http://www.benbest.com/history/waco.html. Best, B. (n.d.). Thoughts on Exploitation Theory. Retrieved from http://www.benbest.com/polecon/exploit.html. Best, B. (n.d.). Timing the Market: Patterns in American Stock Market Movements. Retrieved from http://www.benbest.com/business/timing.html. Best, B. (n.d.). Topic Index for Articles about Computer Science by Ben Best. Retrieved from http://www.benbest.com/computer/computer.html. Best, B. (n.d.). Topic Index for Articles about Life Extension by Ben Best. Retrieved from http://www.benbest.com/lifeext/lifeext.html. Best, B. (n.d.). Topic Index for Essays on Philosophy by Ben Best. Retrieved from http://www.benbest.com/philo/philo.html. Best, B. (n.d.). Topic Index for Essays on Political Economy by Ben Best. Retrieved from http://www.benbest.com/polecon/polecon.html. Best, B. (n.d.). Topic Index for Miscellaneous Writings by Ben Best. Retrieved fromhttp://www.benbest.com/misc/misc.html. Best, B. (n.d.). Vitamin E (Tocopherols and Tocotrienols). Retrieved from http://www.benbest.com/nutrceut/VitaminE.html. Best, B. (n.d.). Welcome to the World of Ben Best. Retrieved from http://www.benbest.com/. Best, B. (n.d.). Whey Protein and Life Extension. Retrieved from http://www.benbest.com/lifeext/whey.html. Best, B. (n.d.). Why Life Extension? Or, Why Live At All?. Retrieved from http://www.benbest.com/lifeext/whylife.html. Blaylock, R.L. (2008, January). Report: DHA Supports Brain Development and Protects Neurological Function. Retrieved from http://www.lef.org//Magazine/2008/1/report_dhafishoil/Page-01. Buchanan, L. (2013, January). CoQ10: The Longevity Factor. Retrieved from http://www.lef.org//Magazine/2013/1/CoQ10-The-Longevity-Factor/Page-02. de Grey, A. & Jacobsen, S.D. (2014, June 8). Aubrey de Grey: SENS Research Foundation, Chief Science Officer and Co-founder; Rejuvenation Research, Editor-in-Chief. Retrieved from https://in-sightjournal.com/2014/06/08/dr-aubrey-de-grey-rejuvenation-research-editor-in-chief-methuselah-foundation-co-founder-sens-foundation-co-founder/. Forbes Magazine (2015, April 18). #12 Peter Thiel. Retrieved from http://www.forbes.com/profile/peter-thiel/. Gael (n.d.) Ben Best in Another Nutshell. Retrieved from http://www.benbest.com/personal/gael.html. Goepp, J. (2008, April). Report: Newly Discovered Health Benefits of Vitamin C. Retrieved from http://www.lef.org/magazine/2008/4/Newly-Discovered-Benefits-Of-Vitamin-C/Page-01. Kurzweil, R. (2004, October 7). Fantastic Voyage; Live Long Enough to Live Forever. Retrieved from http://www.kurzweilai.net/fantastic-voyage-live-long-enough-to-live-forever. Kurzweil, R. (2014). Kurzweil: Accelerating Intelligence. Retrieved from http://www.kurzweilai.net/. 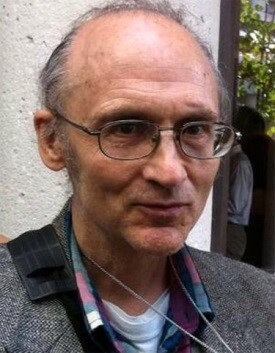 Kurzweil, R. (2014). Ray Kurzweil biography. Retrieved from http://www.kurzweilai.net/ray-kurzweil-biography. Kurzweil, R. (2001, March 7). The Law of Accelerating Returns. Retrieved from http://www.kurzweilai.net/the-law-of-accelerating-returns. Kurzweil, R. (2009, April 28). TRANSCEND: Nine Steps to Living Well Forever. Retrieved from http://www.rayandterry.com/transcend/overview.php. Life Extension Foundation (2009, October). Abstracts: Iodine. Retrieved from http://www.lef.org//Magazine/2009/10/Iodine-Cognitex-and-Bioidentical-Hormones/Page-01. Life Extension Foundation (2014). Acetyl-L-Carnitine. Retrieved from http://www.lef.org/Vitamins-Supplements/item01524/Acetyl-L-Carnitine. Life Extension Foundation (2014). CAL / MAG. Retrieved from http://www.lef.org/Vitamins-Supplements/item16026/CAL—MAG. Life Extension Foundation (2014). DHEA Complete. Retrieved from http://www.lef.org/Vitamins-Supplements/item01478/DHEA-Complete. Life Extension Foundation (2014). DMAE: Dimethylaminoethanol. Retrieved from http://www.lef.org/Vitamins-Supplements/item01540/DMAE-Bitartrate-dimethylaminoethanol. Life Extension Foundation (2014). Life Extension Foundation. Retrieved from http://www.lef.org/. Life Extension Foundation (2014). Life Extension Mix™ Capsules. Retrieved from http://www.lef.org/vitamins-supplements/Item01954/Life-Extension-Mix-Capsules. Life Extension Foundation (2005, October 18). Life Extension Update. Retrieved from http://www.lef.org/Newsletter/2005/10/Alpha-tocotrienol-protects-against-stroke-damage/Page-01#prod2. Life Extension Foundation (2014). N-Acetyl-L-Cysteine. Retrieved from http://www.lef.org/Vitamins-Supplements/item01534/N-Acetyl-L-Cysteine. Life Extension Foundation (2014). Natural Vitamin E. Retrieved from http://www.lef.org/Vitamins-Supplements/item01763/Natural-Vitamin-E.
Life Extension Foundation (2014). Super Ubiquinol CoQ10 with Enhanced Mitochondrial Support™. Retrieved from http://www.lef.org/Vitamins-Supplements/item01426/Super-Ubiquinol-CoQ10-with-Enhanced-Mitochondrial-Support. Life Extension Foundation (2014). TMG. Retrieved from http://www.lef.org/Vitamins-Supplements/item01859/TMG. Mark Twain. (2015). InEncyclopædia Britannica. Retrieved from http://www.britannica.com/EBchecked/topic/610829/Mark-Twain. Methuselah Foundation (2008). Methuselah Foundation. Retrieved from http://methuselahfoundation.net/. Methuselah Foundation (2008). Paypal Founder pledges $3.5 Million to antiaging research. Retrieved from http://mfoundation.org/index.php?pagename=newsdetaildisplay&ID=0107. NASA (2015). Astronomy Picture of the Day Archive. Retrieved from http://apod.nasa.gov/apod/archivepix.html. Ray and Terry Longevity Products (2011). Terry Grossman – Full Biography. Retrieved from http://www.rayandterry.com/bio-grossman. Stokel, K. (2011, January). Carnosine, Exceeding Scientific Expectations. Retrieved from http://www.lef.org/magazine/2011/1/Carnosine-Exceeding-Scientific-Expectations/Page-01. Stokel, K. (2011, January). Report: Critical Importance of Gamma E Tocopherol Continues to Be Overlooked. Retrieved from http://www.lef.org//Magazine/2011/1/Critical-Importance-of-Gamma-E-Tocopherol-Continues-to-Be-Overlooked/Page-02. (2015). In Encyclopædia Britannica. Retrieved from http://www.britannica.com/EBchecked/topic/1998212/transhumanism. S. Food and Drug Administration (2014). US Food and Drug Administration. Retrieved from http://www.fda.gov/. Vinge, V. (1993). What is the Singularity?. Retrieved from http://mindstalk.net/vinge/vingesing.html. Vyff/Trice, S. (n.d.) Ben Best as I Have Known Him. Retrieved from http://www.benbest.com/personal/shannon.html.